If I could give Loita Hills Basecamp a 10 star rating on Tripadvisor I would – unfortunately the scale only goes up to a 5. This was one of the most incredible and unique experiences I’ve ever had. Before we even arrived at camp, we had plenty of correspondence and help from Manon who was wonderful and coordinated everything from a border crossing pick-up to an airport transfer at the end of our stay. We were warmly welcomed once we arrived at camp by the entire staff and given tea and snacks before our planned activities. 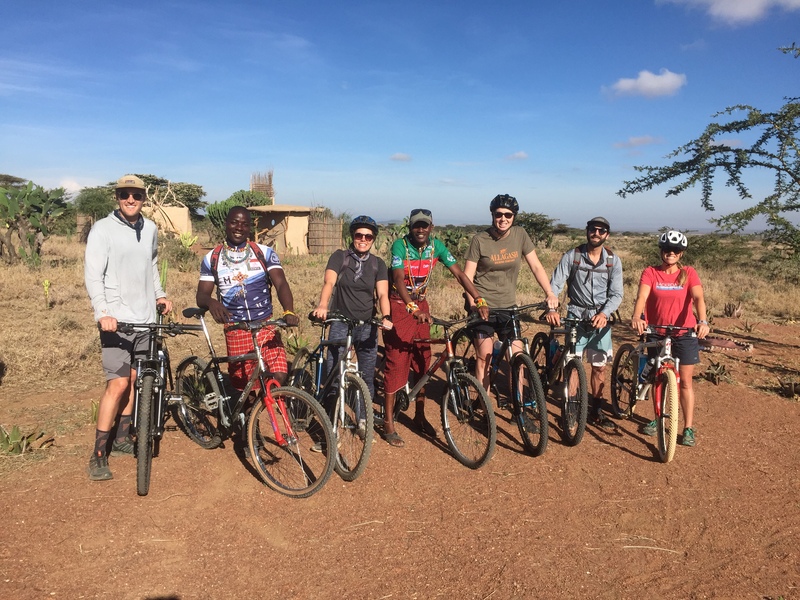 We spent a lot of time with the staff learning about the culture of the Masai – from fire making and beading to nature walks, bike rides, and traditional archery. It was truly an eye opening experience, one that I’ll never forget. We were a group of 5 very active people traveling together, and the camp provided such a wonderful space to spend time with good friends and relax during our downtime. We learned so much from each person on the staff, and their laughter and positivity was contagious. We were truly able to disconnect and spend time in the moment and in nature. The actual tent lodging and dining pavilion were very comfortable; the tents are spacious and tall with comfortable mattresses and bedding and plenty of room for your luggage. The pavilion had hammocks, spaces to play games, and yoga mats which was really wonderful (also a great place to have a drink during sunset). The outdoor showers and bathrooms were actually my favorite part – it was so incredible looking up to a sky full of stars as you showered with warm water from the hot springs nearby! Our group has been fortunate enough to cycle together all over the world and we asked Sankale and Issac to take us on a bike ride one day at camp; I have to say it was one of the most memorable rides I’ve ever done. 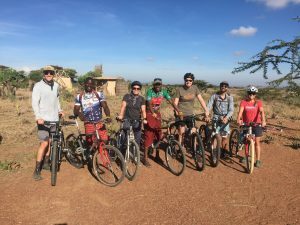 We were cycling next to wildebeest, zebras and ostriches which was one of the most humbling and magical experiences on a bike. We were covered in dust and smiling from ear to ear the entire ride – thank you for coordinating that experience! When I got home from my 2 weeks of traveling around Tanzania and Kenya, the first pictures I showed my family were of Loita Hills and the staff – even before I even dug into the animal safaris in the Serengeti or the wedding I attended while there. This place is that special and magical. Every tiny detail has been thoroughly thought out – from the incredibly delicious and healthy meals to the beaded mirrors in the bathroom area. The space and camp itself is a magical oasis to relax, but it is the entire staff that truly makes this place feel like home. I can’t say enough about how accommodating, kind, intelligent, and hilarious they all were. They kept us laughing and having a great time, and when I left I almost felt like I left a part of myself there. Thank you for one of the stand out experiences of my life thus far! !